Lady Slipper Orchids (Paphiopedilum) are a very popular orchid to grow indoors during winter. Once the flowers bloom, the flower head has a very unique look. Some of the petals stretch downward and some reach upward. They are attached at the center along a small seam. This flower definitely stands out more so than other flowers. The flower grows on a very thin, narrow stem. Since the flower is heavier than the stem, it is a wise choice to stake the plant when it is fully grown. This way the stem doesn’t lean to one side or break. The leaves that accompany this plant are long and broad. They are a light green color and oblong shaped. They actually look like fatter blades of grass. This type of orchid is pretty easy to grow and maintain. In fact, if you do it right, this orchid will blossom twice a year during the winter months. 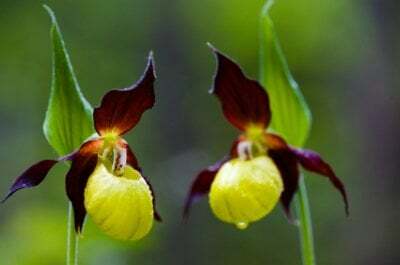 Plant Lady Slippers in an area that holds moisture and also has good drainage. For those of you that do not know what a growing medium is, it is anything you put a plant in to grow. Whatever medium you choose to plant your flowers in, place them in a pebble dish so that the water will drain but the plant will still hold in the moisture. Every day you need to check your plant to make sure that the soil stays moist. It is also a good idea to feed them some type of orchid fertilizer a couple of times a month. This will help to ensure your plant stays healthy and lives for a while. 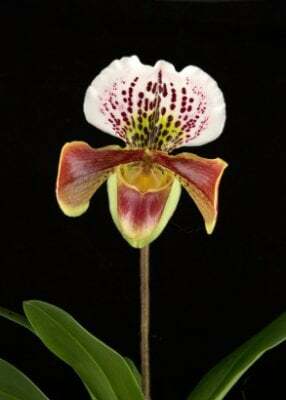 Lady Slipper grows best when kept under a fluorescent light. If you do not have a fluorescent light, then you can set them on a window that receives an ample amount of sunlight for most of the day. Lady Slippers also need warm temperatures to really thrive. The room temperature should at least be about 70 degrees during the daytime, with know more than a 15 degree drop in the evening. If you follow these few simple suggestions, your Lady Slippers should blossom quite nicely!